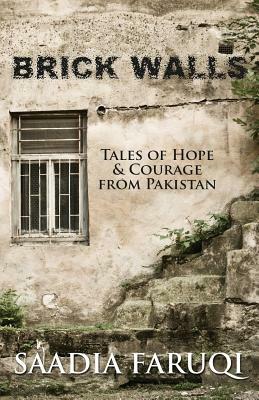 Brick Walls: Tales of Hope & Courage from Pakistan is a heartwarming collection of short stories filled with larger-than-life characters and the seemingly impossible challenges they face. You will be captivated by these fictional depictions of everyday Pakistanis who struggle with poverty, violence, corruption and abuse, yet rise from the ashes stronger and more enduring. There is Asma the lackluster seamstress, Faisal the would-be terrorist, Javed Gul the Pushto rock singer, Farzana the cantankerous grandmother, Nida the ten-year-old girl with a cricket obsession, and many more. Together they form a rich mosaic that showcases the beauty of Pakistan, her culture and her people.